Castor Oil packs are one of my favorite home remedies for the Spring! This simple, affordable DIY home treatment offers a world of health benefits, but my favorite use is to release emotional or physical congestion. 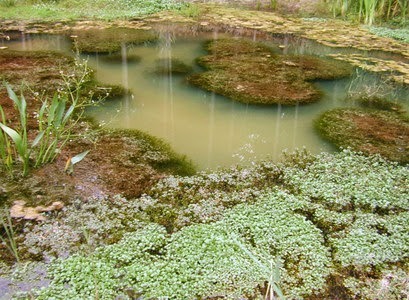 Castor oil improves elimination and circulation, especially of the lymphatic system, creating the ease and flow that is associated with the Wood Element of Chinese Medicine. The lymphatic system is the fluid portion of the blood that brings nutrients and oxygen into our cells, and brings waste and toxins out of our cells. 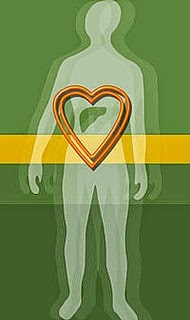 Unlike the blood which is actively pumped by the heart, the lymph is a passive fluid. This means it is moved by activity, and when these fluids are stagnant, we experience symptoms such as pain, inflammation, sluggishness or mental fog. Castor oil packs are made with several layers of flannel and cold-pressed castor oil (both of which can be purchased online or from a local health food store), either individually or as a easy to use set. 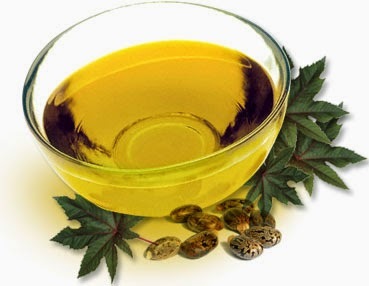 * Castor oil- make sure it is a pure, high-quality organic castor oil as it will be absorbed through your skin! 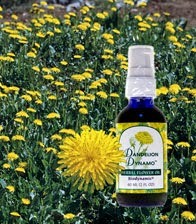 * OPTIONAL- Dandelion Dynamo Flower Essence Oil, especially for an emotional detox. This oil includes Rosemary and Juniper essential oils, which are not only invigorating but also add a nice therapeutic aroma to the treatment. It also has Dandelion, Tansy, and Zinnia flower essences that release stress and stagnation help in our bodies and promote a sense of well-being. Take your piece of flannel and place it in your bowl or glass container, and pour enough castor oil over it to saturate it (it doesn't need to be dripping in oil, just nicely soaked). Add a few pumps of the Dandelion Dyanamo oil if you have it available. Place your towel on a flat surface (either a couch, your bed, or the floor). If you have nice furniture, bedding or carpet, you can also cover the area with a large garbage bag under your towel to avoid a mess). Ummm... did i mention that this stuff will stain? and then cover it with your saturated flannel. I recommend the under on the belly just under the right rib cage, where your liver is, or on the lower abdomen. Place the heating pad or hot water bottle over the pack and let it sit for at least 45-60 minutes. Note: some sites will recommend covering the pack with plastic first, but this is just to avoid a mess. I do not like the idea of heating plastic over your skin, so I skip that step. As a bonus step for emotional support, identify an intention or emotional that you'd like to release. This a a great time for quiet meditation or journaling. Since the Wood element in Chinese Medicine is associated with anger, frustration, resentment, and irritability, these are great emotions to start with. Or set an intention for forgiveness, contentment, or self-actualization, which are also gifts of the Wood Element. You can keep the pack in a plastic bag in a cool place or the refrigerator and reuse 25-30 times. Just add another tablespoon of castor oil for the next session. As a seasonal detox, try using the pack for 3-4 consecutive days per month. Or, doing one pack weekly is often more than enough. (However, do not use during your menstrual period or during ovulation if you are trying to get pregnant). Above all else, listen to your body and honor what she's asking for. Happy Spring! !